Dance UP features Boston premiere works by Danza Orgánica, Prometheus Dance, and the Wondertwins, three of Boston’s most exciting contemporary dance companies. 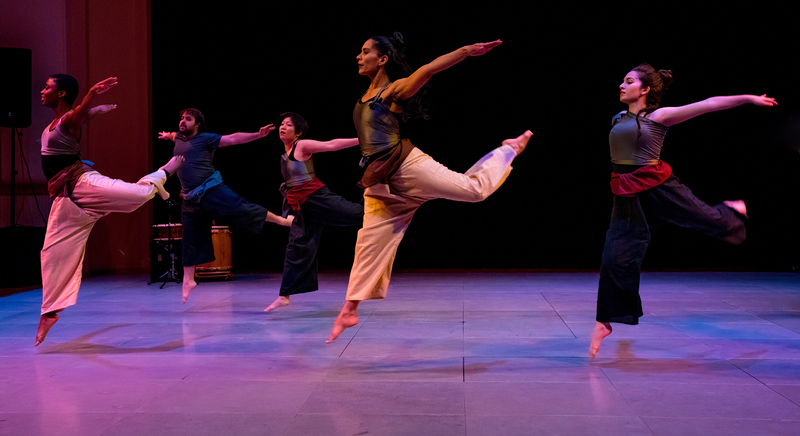 Danza Orgánica is a social justice–oriented dance theater company that draws elements from contemporary dance, African diaspora, and theater to rewrite mainstream narratives through movement that decolonizes the body and provides new ways of experiencing the world. Prometheus Dance celebrates 30 years of dance making that explores our common humanity through viscerally charged choreography in this specially curated performance with works by Diane Arvanites, Tommy Neblett, Korhan Basaran, and Riley Watts. With the technical facility of hip-hop and elements of vaudeville, robot, tap, and mime, the Wondertwins have created a distinctive style all their own for 37 years as pioneers of hip-hop and street dance.